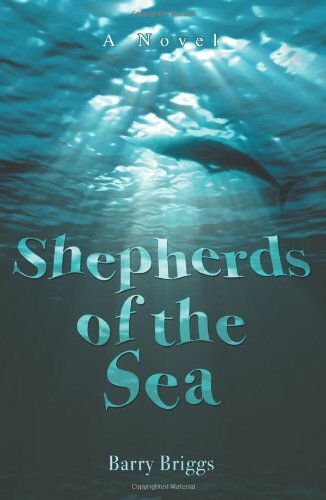 Two millennia ago, the Greek poet Oppian wrote, “Diviner than the dolphin is nothing yet created.” In Shepherds of the Sea, a fabulously wealthy, charismatic eccentric undertakes to rid the Earth of the curse of whaling. His merciless undersea craft, servant to no nation, dispatches whaling ships great and small to the bottom. For in these watery depths, he insists, dwells a sentient, intelligent race, called cetacea: the dolphins and whales. To prove it, he kidnaps an American linguist and a beautiful marine biologist from Russia and charges them with an impossible task: to learn the language of the whales. But neither the United States nor Russia can allow a rogue nuclear submarine to freely ply the seas. The jittery superpowers pursue it through the Southern Ocean; near Maui , they set a trap - just as the linguist and biologist make an extraordinary breakthrough, one that will forever alter human and cetacean history.